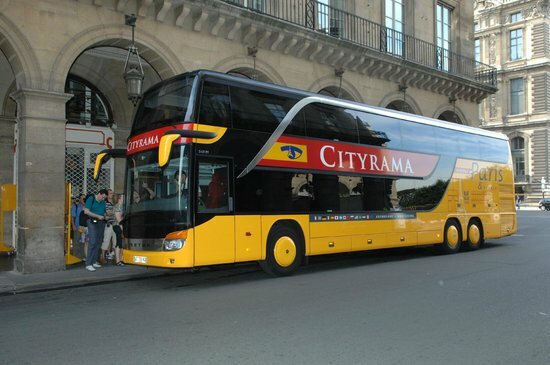 Hop On Hop Off Paris Bus Tours and More | How to Choose the Best? Once you have walked the streets and alleys of Paris, you might want to continue exploring the city via hop-on-hop-off bus. You can cover more ground, rest your feet, and it’s great for the whole family. Most of the businesses that offer this service provide audio commentary in several languages and additional bonuses such as Seine River cruises or walking tours. Paris has two major hop-on-hop-off bus tour companies: L’Open and Les Cars Rouges (Big Bus Tours), but there is also a company called Foxity. These bus tours are the most popular in the city. On these tours, large double-decker, open-top buses drive around the city on a set route with multiple stops. Visitors can choose which attractions they want to stop at and visit whenever they wish, knowing that they can hop back on once they are finished at their current location. Tickets are valid for between 24 and 72 hours depending on which service you utilize, and there is no limit on how many times you can get back onto the bus. Formerly called Les Cars Rouges (Red Buses), Big Bus Tours has been in business since 1991. They are probably the most notable “hop on-hop off” tour bus in Paris. This is an international company that provides services all over the world, and they are generally well-liked. In total, there are 10 significant stops on their classic route. No matter what attractions you want to visit, chances are that Big Bus will take you there. With 3.5 out of 5-stars rating on TripAdvisor, this tour company definitely has mixed reviews. That being said, there don’t appear to be too many complaints in common, so it’s unlikely that the experiences of unhappy customers are typical of Big Bus Tours. Over 1,000 passengers have rated this service 3 stars or better, stating that this is a very convenient and informative trip. TIP: The Big Bus tours are also included in the Paris Pass. Online tickets are a better deal than paper tickets and 2-day tickets for two consecutive days are a much better deal than 1-day tickets. Discount doesn’t apply to same-day online purchases. Purchase here. Buses run every day from 9:30 AM – 6 PM. Buses run roughly every 30 minutes at each stop. To experience a complete route back to your start point, you should hop-on prior to 5 PM; tours after 5 PM end at the Trocadero. We recommend you purchase your tickets online because the prices online are lower. You can also buy tickets with the bus driver and at your hotel reception desk. English, French, Italian, Spanish, Russian, German, Japanese, Arabic, Brazilian Portuguese, Korean or Mandarin. Click the map to be taken to a larger, interactive version. Red Route (day tours): Eiffel Tower, Champs du Mars, Opera Garnier, Louvre, Notre Dame, Musee D’Orsay, Champs Elysees, Grand Palais, and Trocadero. Blue Route (night tour): Louvre, Notre Dame, Musee D’Orsay, Champs Elysees, Grand Palais, Trocadero, and Gare Du Nord. If you want to experience everything on each route, this is the amount of time it will take to travel past each stop. Keep this in mind when deciding which ticket to purchase if you want to see everything possible on your trip through Paris. L’Open Tours is the Paris affiliate of Grayline, an international sightseeing company. Their hop-on-hop-off tours offer four different routes and a total of 50 different stops providing access to over 100 notable sites in Paris. With four times as many stops, this company definitely gives Big Bus Tours a run for their money. If you want to visit as many locations as possible, this may be your best option. Just keep in mind that it could take a while to visit all of the locations on this trip, so you might want to consider one of the longer tickets in order to see everything. Despite the fact that they offer more than their competitors, L’Open Tours receives 4.3 out of 5 stars on Get Your Guide (read the reviews). Surprisingly, there are some guests who have complained that this company provides too many routes, suggesting that there may not be enough time in the day to experience everything on this tour bus. Some might consider this a negative, but several others have indicated that they actually appreciate this aspect of the service. Some visitors have even gone so far as to claim that this is the best way to discover Paris. Add a Seine River Cruise for an additional €9 for adults and €4 for children. Tours run every day from 9:30 AM – 6 PM. Buses typically run every 10-15 minutes April-Oct. and every 20-25 minutes in the winter. It’s easiest to either buy the tickets online or with the bus driver. You can also get tickets from the ticket office at 13 Auber Street 75009 Paris. English, French, Italian, German, Spanish, Portuguese, Brazilian, Russian, Chinese and Japanese. Green line – Paris Grand Tour – Palais Royal, Louvre, Notre Dame, Saint Michel, Musee Orsay, Arc de Triomphe, Champs Elysee, Trocadero, Eiffel Tower, Concorde Royal and much more. Orange line – Montparnasse – Saint-Germain: Petit-pont, Observatoire Port-Royale, Esplanade des Invalides, Rue du Bac, Latin Quarter and much more. Yellow line – Montmartre – Grands Boulevards: Auber, Montmartre, Gare du Nord, Gare de l’Est, Madeline and much more. Blue line – Bastille – Bercy: Gare de Lyon, Gare d’Austerlitz, National Library, Hotel de Ville and much more. If you want to see every location and stop on each route, this is the amount of time it will take to experience all of them. Please keep these figures in mind when deciding which ticket to purchase. These orange and white buses are the least expensive option for hop-on-hop-off bus tours in Paris. Families, listen up: each adult can bring 1 child for free on the day tours, so you definitely save more than with their competitors. Believe it or not, this bus tour is so inexpensive, that it might even be one of the most affordable forms of transportation in the city. Although this service may be more budget-friendly, you’ll also find that this business offers fewer stops. Make sure to check their routes before purchasing any tickets. Unfortunately, Foxity does not have glowing reviews on TripAdvisor, as they have received an overall 3 out of 5-star rating. Complaints typically focus on the fact that this service provides fewer buses on each route, meaning you might have to wait for a while before jumping back on. Buses run every day from 9:30 AM – 6 PM. Buses run every 20 minutes. It’s recommended to buy the tickets online. You can also get tickets from the ticket office near the Opéra at 3 Chaussée d’Antin, 75009 Paris. French, English, Spanish, Portuguese, Japanese, Russian, German, Italian, Chinese. Eiffel Tower, Opera, Concorde la Duree, Champs Elysees, Arc de Triomphe, L’Ecole Militaire and much more. Their one and only route lasts for two hours total. It shouldn’t be too difficult to experience everything on this tour in one day. If you intend to travel around Paris for more than one day, one of the other hop-on-hop-off tours may actually be more affordable. In addition to the hop-on-hop-off bus services available in Paris, there are also several full-service bus tours. Although you might not have the opportunity to leave the vehicle, guides on these tours typically receive high praise for providing a lot of valuable information. These services also tend to offer a unique experience that won’t soon be forgotten. This service is very similar to the hop-on-hop-off bus tours with one exception: there is no hopping on or off at your leisure. Instead, you will experience all of the major landmarks and historic sites in Paris during a 1 ½ – 2 hour trip around the city. During your trip, you’ll have the opportunity to hear expert commentary about all of the locations on your journey in 11 different languages. If you’re looking for something quick, inexpensive, and informative, this might be one of your best options. This service has a 4 out of 5-star rating on both TripAdvisor and GYG (read reviews here). Many guests have indicated that their experience was excellent, suggesting that the service provided is both comfortable and informative. Some have said they were confused about how to use their tickets, so make sure to follow instructions and have your voucher prepared before boarding. If you’re looking for an extraordinary trip through Paris, the History Bus is definitely worth consideration. Not only do they provide a live guided tour throughout the city, but their vehicle is also outfitted to include historical video clips while traveling from one location to the next. They also offer 3D visuals, quizzes, and other multimedia experiences while on board. Did we forget to mention that this bus is covered in grass? Needless to say, this isn’t your average bus tour! With a 4 ½ star rating on TripAdvisor, this is actually one of the highest rated tour services in the city. As a matter of fact, this company has yet to receive any negative reviews. Some reviewers have described this as one of the best experiences in Paris, while others have said it was a very entertaining and educational trip. Both tours depart at 9:30 AM when available. Check their calendar for future tour dates. Tickets can be purchased online from their product description page. You can also make reservations by contacting them directly. Tour guides may only speak in French, so this might not be a great option if you’re unfamiliar with the language. That being said, there are reports from some passengers that their guides speak English and Deutch as well. It also appears that this tour is not offered year-round, so you might not be able to reserve any tickets during the winter. The History Bus also provides combo packages in addition to other trips in and around Paris. Movie buffs will probably have a keen interest in discovering some of the sights and sounds that were recorded in their favorite films. Thankfully, this company actually provides a tour which will take you around to some of the most notable filming locations in Paris! With stops related to The Bourne Identity, The Da Vinci Code, Taken, Midnight in Paris, James Bond and several other notable Hollywood movies, there’s plenty to enjoy on this trip. Let professional guides take you on a journey through streets that have become well documented on the silver screen. With a full 5 star rating on TripAdvisor, it’s safe to say that a majority of customers enjoy the experience offered by Set in Paris Movie Tours. As a matter of fact, it would appear that they have only received one negative review, so this is probably a pretty reliable service. Many reviews focus on the fact that they actually provide multimedia clips from each movie they discuss in order to refresh your memory, so you don’t even need to worry about whether or not you’ve seen the movie! Price depends on the number of guests. You can inquire about scheduling this tour on their website. Alternatively, you can visit their box office at 61 Quai de la Tournelle, 75005 Paris. The Le Grand Tour is a private tour, which means that you will be paying one flat rate for all passengers. Your best bet will be to take this tour with as large a group as possible in order to get the best possible deal. Set in Paris Movie Tours also provides a lot of popular walking tours and educational experiences. Make sure to choose the tour that fits your group the best. There will be a refreshment break and bottled water provided to all guests. In addition to their hop-on-hop-off service, this company also provides a more traditional bus tour. Although it only lasts for two hours, it’s very affordable and a lot more accessible than some of the other full-service tours on this list. If you want to learn all about Paris while a driver/guide takes you past almost every significant landmark, this could be an inexpensive option worth considering. Make sure to check our profile of Foxity’s reviews before making any decisions. We recommend purchasing tickets online. Tickets are also available at their office near the Opéra at 3 Chaussée d’Antin, 75009 Paris. There’s a reason that they call Paris the City of Light. When the sun goes down, this metropolis lights up! If you’ve ever wanted to see all of the popular landmarks and attractions illuminated after sunset, you might want to consider taking a night bus tour. All of the companies that provide hop-on, hop-off services also offer bus tours at night. For more information on their respective ratings, make sure to check out our review profiles for each service. Unlike their hop-on, hop-off service, this night tour doesn’t allow you to get off whenever you wish. Clocking in at a total of 2 hours, you’ll travel around the city in an open top bus and see all of the major landmarks after the sun sets. Discover famous sites such as the Moulin Rouge, Champs-Elysées and the Eiffel Tower from an entirely different perspective once the lights turn on at night. Tickets are available online, but they can also be purchased either directly from bus drivers or from your hotel reception desk. Big Bus Tours offers commentary in 11 different languages to accommodate guests from around the world. The 2-hour night tour begins at 8:15 PM every night throughout the 16th of December. From December 17th to January 2nd, the tour begins at 9:15 PM. Much like their competitors, this night tour will not allow you to jump off and explore different attractions at night. Sadly, this trip clocks in at only 1 ½ hours and comes with a higher price tag. Although you’ll visit locations such as the Eiffel Tower and Champs-Elysées, it would appear that you’ll have much less time to experience these beautiful sites after the sun goes down. Although we can’t recommend it for the price, this might be a good alternative if every other night tour is fully booked. You can obtain tickets online, with the bus driver, or via their ticket office at 13 Auber Street 75009 Paris. Reservation is compulsory, so it’s best to purchase your tickets ahead of time. L’Open Tours provides commentary in 8 different languages. You’ll also receive personal earphones for listening to audio while on the tour. Between March 25th – October 31st, the tour starts at 9:30 PM. From November 1st – January 1st, the tour will begin at 6 PM. This trip will depart from the main office at 13 Auber Street 75009 Paris. It may not come as a surprise, but this company offers one of the cheapest night bus tours in Paris. Although the trip only lasts for 1 ½ hours, it is more affordable than any other service on this list. Foxity also offers two tours every night, so you probably won’t have to worry about overbooking. It’s worth noting that their transportation is heated during the winter months and covered in case of rain. If you want to stay warm while seeing all of the major attractions after sunset, this might be one of the least expensive options. Tickets are available online, but they can also be purchased at their main office close to the Opéra at 3 Chaussée d’Antin, 75009 Paris. This tour is available at 7:30 PM and 9:30 PM. The night bus tour will take you past more than 40 monuments. The commentary is available in 9 different languages, making it easily accessible for international guests. Whether you’re looking for more than just a bus tour or you want to take more than one trip through Paris, you can save a lot of money by purchasing a combo package. All of the major hop-on, hop-off services offer packages that include more than one activity at a discounted rate. Although some of these deals include entrance into popular attractions, most of them are focused on tours that will take you around Paris. If you want to visit some of the museums or enter famous landmarks in the city, you may want to consider a Paris Pass instead. Please read our comparison of every tourist pass available in the city for more information. If you purchase tickets online, you will save the most money. In addition, these combo deals may not be available if you purchase tickets directly from a driver or at your hotel. To find out more about the quality of their service, please read our review profile of Big Bus Tours. Tickets purchased online can either be printed out or accessed via smartphone. This company provides some of the most original combo packages in Paris. In addition to the standard cruise and night tour options, they also offer entrance into the Louvre, the Picasso Museum and even a Tasting Passport for those who want to experience French cuisine. If you’re looking for a somewhat different experience in this city of light, you might want to consider one of the following combo deals. More info and to book online. The easiest way to buy your tickets is online. These combo deals may not be available to purchase directly from bus drivers or at their ticket office. Avoid any trouble by simply ordering from their website. If you want to know more about the services this company provides, you will find more information in the Hop-On, Hop-Off section. Vouchers from this company are valid for an entire year, so you can purchase them ahead of time and use them whenever you wish. Unlike their competitors, Foxity only offers one combo package. To be fair, this deal is even more affordable than anything offered by either Big Bus Tours or L’Open Tours. Enjoy a one hour cruise on the Seine after getting a good look at the Eiffel Tower. Discover some of the world’s most beautiful monuments and landmarks from the water while you gently float down the river in comfort. This deal is also incredibly affordable for anyone with children. We highly recommend purchasing your tickets online, where you will save €4 off the normal price. Alternatively, you can get this package deal at their office near the Opéra at 3 Chaussée d’Antin, 75009 Paris. At a price of €5.50 per child, this might be the best combo package for families. Not only will you have access to a hop-on, hop-off bus tour, but you’ll also get a cruise out of the deal. An entire family could enjoy a full day trip around Paris for less than €75! The Seine cruise boards in front of the Eiffel Tower. For more information about the company, make sure to read our profile of their services in the Hop-On, Hop-Off section. Some of the tourist passes available in Paris actually include bus tours. If you’re looking to experience more than just a bus ride around the city, you might want to consider picking up one of these passes. Make sure to read our review of these services before deciding on which one to purchase. This service includes more featured attractions and activities than any other tourist pass available in Paris. Unfortunately, it also comes with a much higher price tag than the passes offered by competitors. If you plan to spend a lot of time in the city and experience as much as possible, this is an excellent deal. However, if you’ve only got a few days, you might want to consider another option. The Paris Pass includes a Big Bus Tour hop-on, hop-off ticket in addition to a museum pass guaranteeing access to more than 50 attractions such as The Louvre and Arc De Triomphe. The Paris Pass can easily be purchased online and shipped globally. No matter where you live, chances are that you’ll be able to buy this tourist pass. The hop-on, hop-off bus tour provided with the Paris Pass is a 1-day ticket. Even if you purchase the 6-Day Pass, you’ll only have access to the bus tour for one day. That being said, this tourist pass also includes access to the metro, RER and buses in Paris. It shouldn’t be too difficult to get around the city with the Paris Pass. The Paris Passlib’ Mini offers pretty much the same combo deal you can get directly from L’Open Tours. Although they are more expensive, the full Paris Passlib’ is a much better deal. In addition to a 1-day hop-on, hop-off bus tour, you’ll also have access to both a museum pass and a travel card. With the help of these two passes, you’ll be able to use the metro, RER or bus system to access more than 50 museums in the city. Although this is a bit more costly, it’s definitely a better deal than their Mini pass. This tourist pass can be purchased online and shipped internationally. Alternatively, you can also pick up your passes at their main office. No matter which version of the Paris Passlib’ you acquire, it will grant you access to one hop-on, hop-off bus tour. The Mini Pass can also be used to save money on the entrance price to the second floor of the Eiffel Tower. Since you’ll be near this beloved monument for the cruise, this might be a better option than the combo package offered directly through L’Open Tours. As you can no doubt tell, there are several options for Paris bus tours. No matter which type of service you want, chances are that you will find something to fit your needs. Discover the city of light on your own terms and enjoy your experiences as you travel past some of the most beautiful landmarks in the entire world.